Pitfalls of Young Entrepreneurs #infographic ~ Visualistan '+g+"
Entrepreneurship has skipped a generation. Gen Z is much more likely than Millennials to want to become entrepreneurs, and it’s no wonder - Gen Z has watched Millennials get derailed with massive amounts of student loan debt and work in a job market with stagnating wages. Starting your own company, even from a very early age, sounds like a much better plan than working for the man. Why flip burgers when you can be a startup founder? There are some challenges to being a young entrepreneur. Legally you can’t get business loans and credit cards unless you are 18, and even then you are unlikely to get them because of a lack of established credit history. Networking events are often held in places where you have to be 21 to get inside, and rental cars and hotels often carry age restrictions that are even higher than that. But it’s not all about the challenges. Younger people have less to lose so they aren’t motivated by fear. They haven’t had business digma drilled into their heads so they are more likely to be free thinkers. 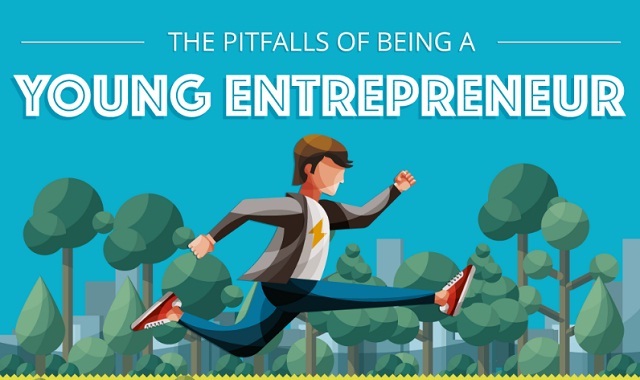 Learn more about pitfalls of young entrepreneurs from this infographic!